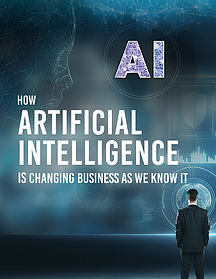 This guide takes the first step into the AI landscape by helping you explore a few simple steps to bridge the understanding of AI, what it can do for your company, and what steps you can take to leverage the power of AI. Where is Artificial Intelligence Used Today? How Can AI Be Leveraged in Business?